Learn the risks to children from cyberbullying and other risks associated with technology use. 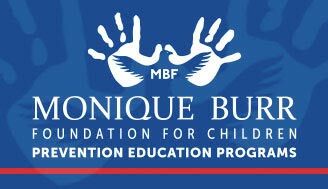 Become educated and empowered to help children and teens stay safe. The Cyberbullying Research Center maintains a database of research and resources. Resources are available for educators, parents, and teens. Iroc2.org provides the Public and Permanent Site and teaches the “Golden Rule for the 21st Century” focusing not just on trends, but instead on teaching youth and teens about “Digital Enlightenment™ and how to develop a “Digital Consciousness™” that serves as the foundation for a uniform and proactive solution to any digital issue. Cyber Civics is a digital citizenship and literacy program for middle school students. Includes curriculum, plus support for parents and teachers, that emphasizes critical thinking, ethical discussion, and decision-making about digital media issues…all through role play, hands-on projects, and problem-solving tasks. WiredSafety is the largest and oldest online safety, education, and help group in the world. It provides one-to-one help, extensive information, and education to cyberspace users of all ages on a myriad of Internet and interactive technology safety, privacy and security issues.